Let me preface with how this think piece originally began in January 2018, while Jackson Wetherbee (vocals, guitar), Johnny "Blaze" Alves (guitar), Nick Asta (drums), Derrick Cabral (percussion), Greg Nectow (keys) and newest oddity to this seamless collection, Matt Link (bass), were down at White Star Sound in Virginia. If this spot sounds familiar, that is normal. 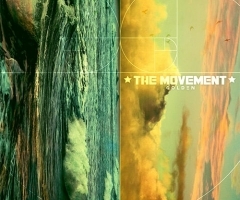 It's the same studio that The Movement found comfort and refuge to record their Golden album. This spot, in the secluded wilderness of wild Virginia, is particularly ideal to write, record, grow, create, vibe as a unit and enjoy the creative process. It was very apparent from phone conversations with The Elovaters just how much these guys were thriving and happy in that environment. At this point, the sophmore full-length album Defy Gravity was in its final stages of completion, with the wizardly recording, mixing and production skills of Mr. Danny Kalb in tow. This new album defies and exceeds every expectation one could possibly have. I want to make sure this piece is as informative, enjoyable and illuminative of these otherworldly travelers as possible. 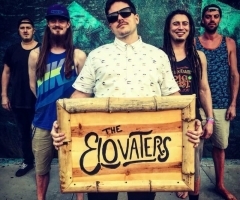 It started when we featured The Elovaters around the time they performed at Levitate Music and Arts Festival 2018 as a Boston-based band, rising steadily through the ranks at a spaceship's speed. Well... you cannot go full alien at a slow pace. The Elovaters' debut album The Cornerstone, like its older brother Defy Gravity, are both playable from start to finish (as well as on repeat). These albums are both lyrically relatable, with poetic instrumentals and so very much soul. The most noticeable difference between the two albums is a crisper and more refined sound. These guys have yet to get stale. In my opinion, the personal and professional growth is easily the biggest takeaway. This new album defies and exceeds every expectation one could possibly have. 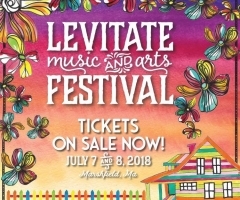 The Elovaters' summer tour started as previously mentioned: on 4th of July weekend in Marshfield, MA at a local surf shop turned gigantic east coast Levitate Music and Arts Festival. Fast forward a full summer of touring later to Labor Day morning, when the guys left Surrounded By The Sound Music and Arts Festival to continue their tour. 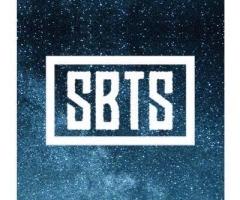 The Elovaters opened up SBTS – a perfect way to end out the summer. 'Marathon' may be a better word to describe the 20 festivals and 30 cities the guys visited throughout their Swimming With The Sharks Summer Tour 2018. During the summer, the band steadily showcased a few jams off of the unreleased album. The thankful and elated faces amidst the crowd spoke louder than any review ever could! I will not tell a lie: my first listen to "Meridian" was in June in my bathroom, alone and on repeat. I could not get the bass line out of my head. Come to find out this song (featuring members of The Late Ones) was the lovechild of Jackson, who uncharacteristically plays bass throughout the song while Link adds incredibly tight and personalized riffs. Link is by far one of the most talented bassists on the circular planet. One of the 11 late nights in the apartment above the White Star studio, Jackson was messing around with the bass line which turned into this song's lifeline. Although, I cannot name my favorite songs, I can tell you about lyrics that will blow your mind. I will add that any fan of this group of music men will find their souls overflowing when they hear the new jams. While one song may speak to you personally or bring out certain emotions, the moment the next song begins, you are intrigued with the difference in sound and energy. Initially, I was sent over about four or five songs and I was not told what would make the album. Needless to say, the final product is what growth – both musically and spiritually – sounds like. ... the final product is what growth – both musically and spiritually – sounds like. As The Elovaters gear up for their Defy Gravity album release tour and busy winter regimen, they will do so as the newest addition to Madison House Booking Agency. Madison House represents incredible artists such as The String Cheese Incident, The Movement and Bassnectar, to name a few. Since 2014, the sky has never been the limit for Boston's South Shore natives The Elovaters; it is still just the beginning. While in the midst of all the amazing things coming to fruition for our friends, they stay as human and as humble as they day we met. To quote the band's drummer Nick Asta, "I feel so lucky to be a part of this album. Jackson's craft of songwriting has really inspired me to be the best musician that I can be. 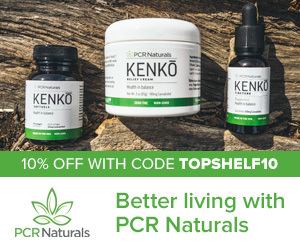 Our team has come so far and I'm so thankful for producer Danny Kalb and president of Rootfire, Reid Foster, helping us to be the best version of ourselves." You can check out Defy Gravity for yourself as of Friday, October 26th, released under my personal favorite the Rootfire Cooperative. Levitate Surf Shop in Marshfield, MA will be hosting the official album release party on the same day. Defy Gravity is also currently available for pre-sale and a few of the new tracks are streaming through your favorite music streaming spots as we speak!!! Here's to always staying elevated, high above whatever may try and bring you down. Want a sneak peak? Stream the latest single "Meridian" on Spotify here!